- Cats have 32 muscles in each ear. - Bluebirds can't see the colour blue. - The average person laughs 15 times a day. - Peanuts are an ingredient of dynamite. - Bats always turn left when they exit a cave. But she doesn't know why nobody at school seems to like her. So when she's offered the chance to reinvent herself, Harriet grabs it. Can Harriet transform from geek to chic? I was sent this proof to review last year. I read it but I never reviewed it! I know, I'm terrible. 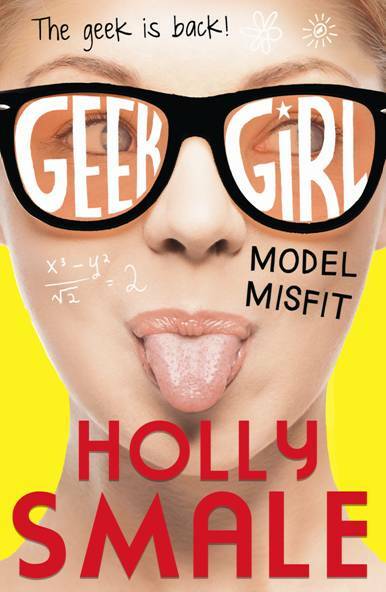 But finally, here is the review, and the next book in the Geek Girl series will be out next month! Woo hoo! This has officially become one of my favourite series so I can't put into words how excited I am for GG2! The cover for the next book was revealed on Twitter by none other than Holly Smale herself and Twitter exploded. All of the book bloggers were going crazy. Authors were going crazy. Even my cat was going crazy, although that could have been something to do with his toy mouse and not the cover reveal. But let's pretend it was the cover. Let's get straight to the facts. This book was freaking awesome! I'm pretty sure it must be this book that set the geek trend. I'm actually trying really hard not to descend into capital letters and exclamation marks (what? Fangirling is my occupation.) *takes a deep breath* Okay. Geek Girl is one of the best contemporary novels I've read this year (well...I read it last year but whatever) and I loved that fashion, modelling and geekery were all rolled into one fabulous book. If you're scrolling through reviews of Geek Girl, trying to find faults in the book, you won't find any and especially not in this review. Harriet, the female protagonist, is so funny, geeky and accident-prone! Holly Smale made sure that Harriet doesn't conform to the stereotypical female protagonist and made her truly unique. I didn't have to re-read the book to write this review, even though it's been over a year since I read it. That just goes to show how brilliant this book is and how it stays with you long after turning the final page. I give this book 5/5 and I think everyone will enjoy it because it has a bit of everything, from fascinating facts to crazy catwalks! This book says 'Be proud of who you are' and I think that's a fantastic message for a book to have. Great Review. Once I finish Harry Potter and the Deathly Hallows (which will hopefully be sometime soon) this is at the top of my reading list and looking at this review just wants to make me read it more. 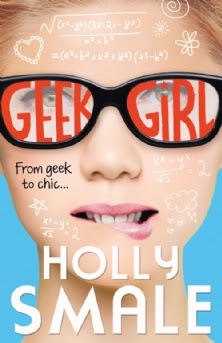 I loved Geek Girl - and Harriet Manners is one of my favourite fictional characters. I was one of those bloggers that went crazy when I saw the cover for Model Misfit, I'm really excited to get my hands on a copy next month. So glad you enjoyed it, Amber! It definitely makes you feel proud to be a Geek! Haha I know, when I wrote the sentence about bloggers going crazy, you were one of the people I thought of. xD Thanks Sophie! YAY FOR GEEK GIRL! HIP HIP HOORAY! SLOTHS READ GEEK GIRL AND THEY LOVE IT SO EVERYBODY ELSE MUST TOO OR THEY WILL FOREVER BE KNOWN AS EVIL PEOPLE AND WILL NEVER KNOW THE AWESOME THAT IS THIS BOOK. Thanks for this great review. I'll add this book to my wish list!